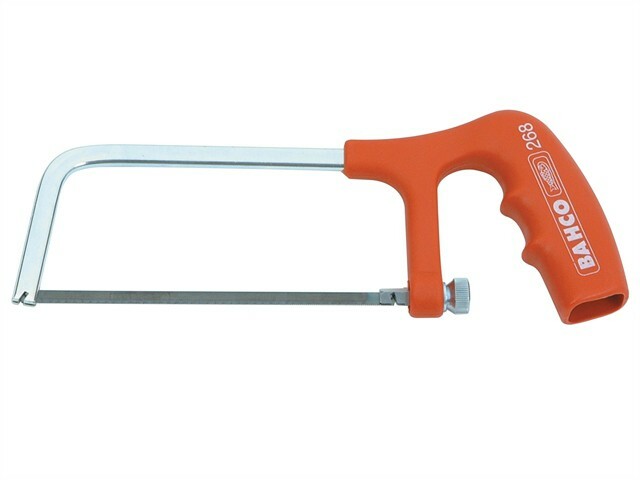 Bahco 268 Mini Hacksaw is a modern junior hacksaw, with a frame made from rigid zinc plated flat steel and an ergonomic plastic, pistol-grip styled handle. Replacing and tensioning of blade through adjustment of the nut incorporated in the handle. Comes complete with 32 tpi low alloyed blade.